A vacuum cleaner uses a rubber belt to spin a roller brush, which lightly scours the carpet and vacuums up debris. A broken or damaged belt sharply reduces the effectiveness of the vacuum. A belt not positioned properly may break. The vacuum cleaner belt is a narrow strip of rubber that connects to the roller brush and to a rotating cylinder on the vacuum motor. When turned on, the vacuum motor spins the cylinder, which spins the belt, which in turn spins the roller brush. Due to wear and tear from normal use, the rubber belt eventually will degrade and a replacement will be necessary. If not installed correctly, the rubber belt will grate against one of the components in the roller brush housing. The friction of the belt against the housing produces a pungent burning odor. Each vacuum cleaner manufacturer produces specific belts for specific machines. An incompatible belt installed on the vacuum cleaner will cause the belt to break or burn. The belt must be installed according to manufacturer directions for best performance, or the belt will chafe against the interior housing parts and break prematurely. Sharp debris, a low height adjustment setting or vacuuming up [rug](https://society6com/rugs?utm_source=SFGHG&utm_medium=referral&utm_campaign=8775) corners may cause the rubber belt to snap or wear prematurely. Check the height adjustment for the vacuum, and use a higher setting for plush rugs. 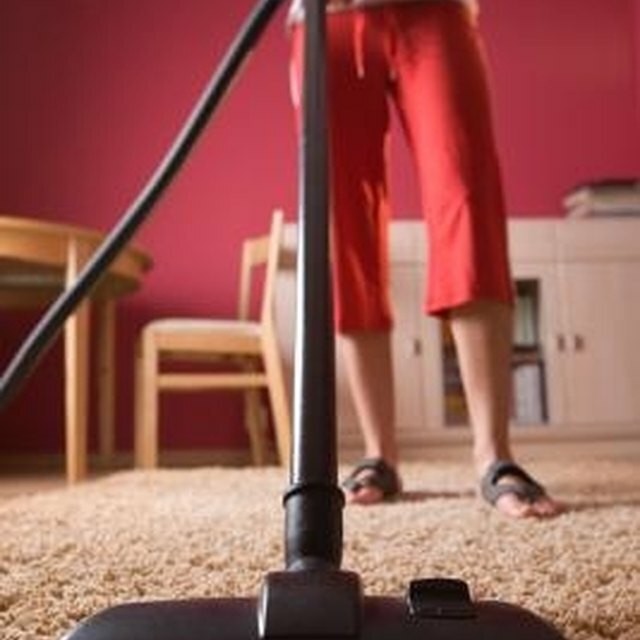 Avoid vacuuming sharp objects and corners of the rug.